Partly cloudy skies. High 79F. Winds S at 5 to 10 mph..
East Hollywood — Fake weapons used in a film shoot this afternoon prompted police to shut down streets and warn residents to stay inside. The director of the music video using fake rifles near a church was arrested for not having a filming permit, said Fox 11. 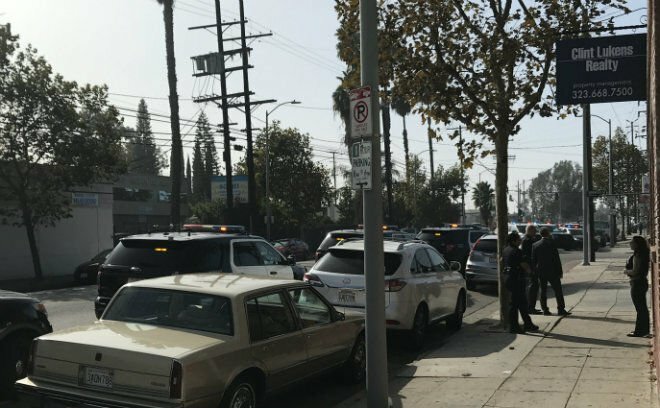 Eastsider readers said Santa Monica Boulevard was shut down at Commonwealth Avenue on the border of East Hollywood and Silver Lake while a police helicopter hovered overhead and officers were seen with their guns drawn.